Deciding on a career is one of the biggest of life decisions—and yet many teens spend very little time exploring careers. Here are four simple steps to get your teen engaged in their own career planning. 1. Start with a conversation. 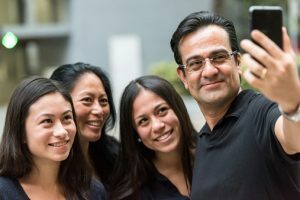 Even if your teen is generally resistant to any conversation of more than two words, you might be surprised by how engaged they can become when talking about their future. Keep the focus off of your expectations or their responsibilities, and ask general questions about how they hope to live as an adult: where do they picture themselves living, what do they think they’d like to do, what kinds of things will they spend money on—and how much money will they need? All of these questions are good prompts. You can also tell your own story or trace the career path of another admired adult. What would you do in this career? Does it match your interests and skills? How much education would you need? 4. Make the link to education. A lot of the time, adults lead with the importance of education. Chances are, your teen has heard many, many times how important it is to do well in school. But if they haven’t made a concrete link to how education can help them achieve their specific dreams or goals, they’re less likely to prioritize it. Once you’ve had conversations about careers, and you and your teen have identified general career fields or even specific jobs they might thrive in, it’s a lot easier for a young adult to value education.